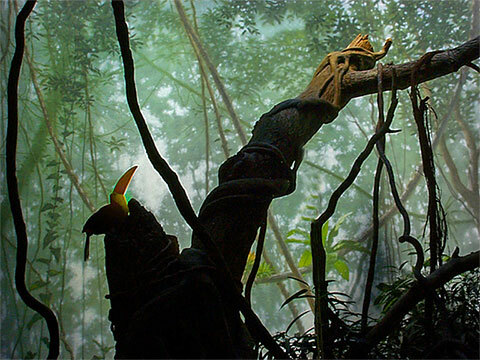 The Tropic Zone offers a two tiered rain forest exhibit with twisting vines and waterfalls to make it all the more realistic. 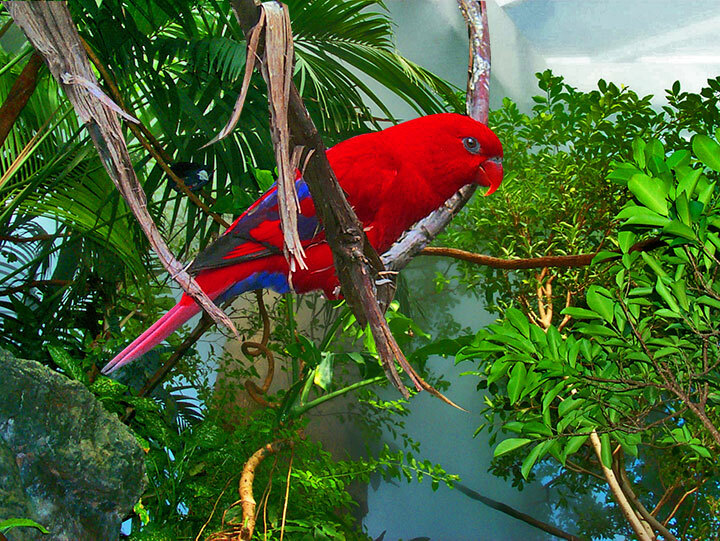 There are birds of various species including Turquoise Tanagers, Saffron Finches, Fairy Bluebirds, Sun Bitterns, Violet Turacos and Rodrigues fruit bats and others fly freely in the hot steamy environment. 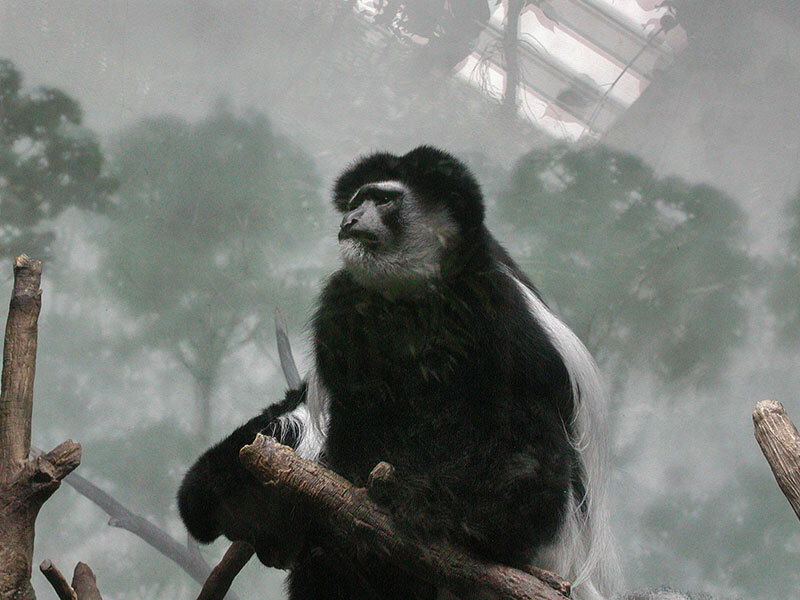 A larger glassed in exhibit with a rocky mountainous terrain is home to the long haired Colobus monkeys. 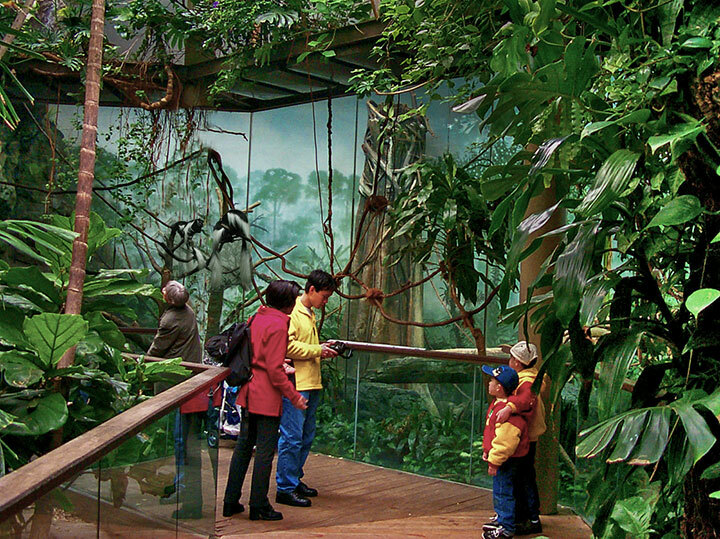 they were rediscovered in 1970 have their own smaller habitat on the second tier which they share with the Golden headed and Cotton-top Tamarin.